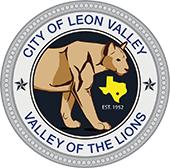 The City of Leon Valley recently completed major repairs to the Leon Valley water and sewer system. The repairs consisted of installing a San Antonio Water System (SAWS) water interconnection, capping two existing water wells, drilling two new water wells, upgrading electrical services to both, and will rehabilitate an above ground water storage tank this winter. The existing wells, both about 50 years old, were defective and had to be replaced. In addition, several water and sewer mains are to be replaced, due to multiple main failures. To pay for these repairs, the City borrowed money and, in order to pay back the borrowed funds, a three year water and sewer rate increase program was initiated. To assist our most vulnerable customers, a new affordability tier (Tier 1) was developed. The first increase in October 2016, was the largest of the increases ($2.10 in Tier 1). The second increase in October 2017 was a much smaller increase ($0.19 in Tier 1), as is the case with this current increase that was approved September 2018 ($0.19 in Tier 1). The current increase is effective with the November billing cycle and affects the water rates only at this time. For more information on these rate changes, please call Yvonne Acuna, Utility Billing, at 684-1391 x 224.